I never understand what is the need to play with young players if you still have good old ones playing in high level. I would ordinarily agree with you, but really, if there is ever the most appropriate time to try out new players, and see how they fit/cope, it's the early stages of this competition, especially this close to the end of several of the strongest European leagues. I get it, really. But you need to practice with your main team especially when there is such a important tournament coming in the next few months. I think one of the main keys of Brazilian NT success during the last three olympic cycles is playing with full force most of the time. Some people say that this strategy didn't allow the current players to grow during the past years but the truth is that the current NT does not have the same talent as the last one, it's not a matter of training/playing when they were younger. USA scouts will be at work. No point to introduce young players yet. Some of them still has to learn. I can see USA slowly shedding some of its veterans week after week when more valuable data over other teams is available. i also think it's very important to start strong than start weak and try to catch up with the leaders. They are not a very young team anymore to have a luxury in doing that. From the interview of Lauren Carlini, USA will be playing an even faster tempo compared to the past year. The speed of the ball from setter to pin hitters should be less than a second. I find this kind of play too limiting since their reception isn't really that good. Kim Yeon-Koung will not be travelling with the South Korea NT when they go to Apeldoorn (Netherlands) in week 3 and Santa Fe (Argentina) in week 5. Kim will be rested and will only play in Ningbo (China), Suwon (South Korea), and Nakhon Ratchasima (Thailand). I think there is a possibility that other senior players in the Korean NT will also be rested when they travel to Netherlands and Argentina. What a sad news! I was on the point to book a trip there to watch her playing live. Now it means I will stay at home and I won't have any chance to watch her live in Europe at least till next club season. I hope see Lazovic playing in the VNL...but I have a feeling Terzic will give Milenkovic more playing time. In the first friendly against Bulgaria she started and I don`t think Lazovic played at all. She has been on the wider lists for the last 2 years, but has never actually made the final call. This year, she is again a part of the preparation, and she is almost certain to debut at this competition. I have big hopes for her, and she plays the position we need the most! Looks like it could be a logo of a early 90s NES game. Cheap and outdated looking, I hope they tweak it a little quickly before it actually starts and make it look more modern. Does anyone know for certain whether matches will be streamed on Youtube, as was the case with WGP? 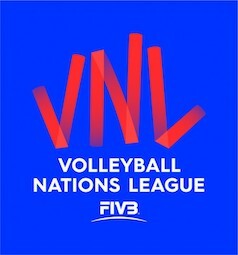 FIVB create a new streaming platfom. They'll live all 260 matches in the Volleyball Nations League 2018. This is a big bummer for me. I want to be able to download the matches for prosperity and study. I actually appreciated it, but I'm not a graphic expert! About the streaming, I just hope it won't be all geoblocked in Italy if Rai will transmit few Italian matches... (It may no be the case for the women, but for the men yes). Akiya, nice avatar! I love sense8 as well, can't wait for the final episode in less than a month! I dunno about Italy but I imagine it will be geoblocked and you'll have to have a paid TV subscription service to watch it. Do you know for a fact that there won't be a download option or are you just assuming? I am with you. Much prefer Lazovic over Milenkovic. That girl looks as if she is no taller than 170 cm, even though I know her to be 186 cm. I'm always amazed that she manages to jump high enough to hit the ball! I actually like Milenkovic..she`s strong. She played well last GP....I just don`t know if Lazovic better than her as of right now... and I wonder if these 2 are already better than Busa....I like Sara Lozo as well...but I don`t think she will get any playing time with the senior team this season. I'm assuming based on the fact that controlled streaming technologies are designed to prevent downloading of content. You can't legitimately download any recent FIVB content that has broadcast rights sold. I assume that won't change. The way it worked for last year's WGP, for example ... you had to VPN to a different country just to watch it live. Then you had to quickly get a download from some alternate youtube in ... Pakistan, I believe.